Obama said Al-Qaeda was defeated. Egyptian authorities detained an Islamist with ties to Al-Qaeda whose operatives are believed to have carried out a deadly al-Qaeda attack on a US mission in Benghazi. Egyptian authorities have detained a suspected terror network ringleader whose operatives are believed to have carried out a deadly attack on a US mission in Libya, a report said Friday. Muhammad Jamal Abu Ahmad –– a former member of the Egyptian Islamic Jihad, who was freed from prison in March 2011 following the ouster of Egyptian leader Hosni Mubarak –– was captured in the past week, the Wall Street Journal reported, citing unnamed US officials. When asked about the report, one US official confirmed to AFP that Ahmad had been detained, without providing further details. US intelligence played a role in the detention, one official told the Journal. It was not immediately clear where or how the suspect –– who is thought to be about 45 years old –– was caught. 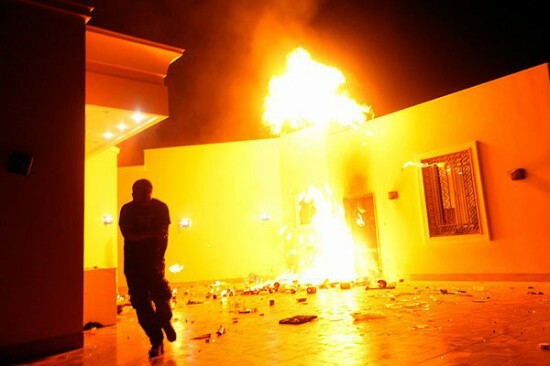 The US ambassador to Libya, Chris Stevens, and three other Americans were killed in the 11 September assault on the US mission in Benghazi. US officials have been tracking Muhammad Jamal Abu Ahmad for some time. Ahmad was released from prison during the “Arab Spring” and has links to Al-Qaeda. Western officials say Mr. Ahmad has petitioned the chief of al Qaeda, to whom he has long ties, for permission to launch an al Qaeda affiliate and has secured financing from al Qaeda’s Yemeni wing. U.S. spy agencies have been tracking Mr. Ahmad’s activities for several months. The Benghazi attacks gave a major boost to his prominence in their eyes.